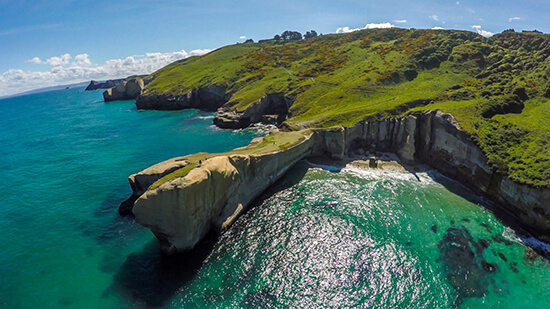 Just when you thought New Zealand couldn’t get any more mind-bogglingly beautiful, someone flew a drone over its best bits – capturing those wind-whipped coastlines, secret beaches and snow-capped mountains like you’ve never seen them before. To get to Tunnel Beach, you’ll have to hike along the rocky coastline and find your way through a tunnel cut into the cliff – but you’ll be richly rewarded for your efforts. Pitch your towel on the soft sand and take a dip in those wild sapphire waters: this is New Zealand at its most ruggedly beautiful. Will you go forwards, backwards, down a slide, or strapped into a plastic picnic chair? 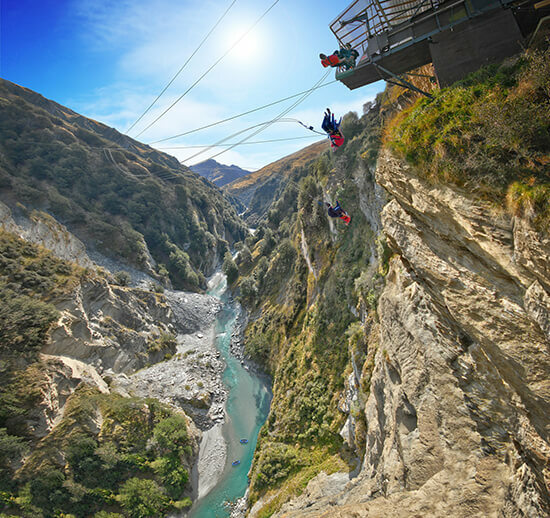 Whichever of the 75 jump styles you choose to take on the Shotover Canyon Swing, one thing’s for sure: you’ll squeal like a baby as you plummet down the 60-metre cliff face. Looks like this jumper opted for a back flip: we challenge you to do the same. 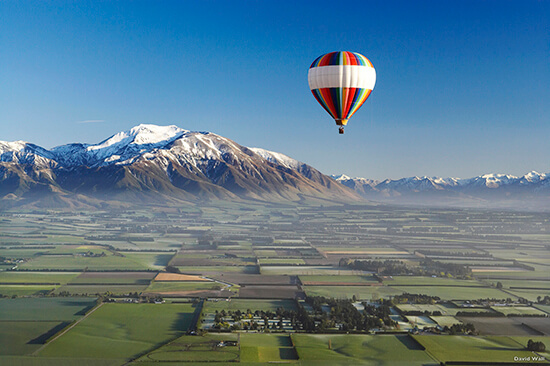 As the sun rises over the Canterbury Plains, the South Island’s spectacular geography comes into focus: not a bad morning view from your hot-air balloon basket. Most flights begin at dawn, when air conditions are clear, calm and – most importantly – stable. After an hour afloat, you’ll tuck into a Champagne breakfast back on terra firma. 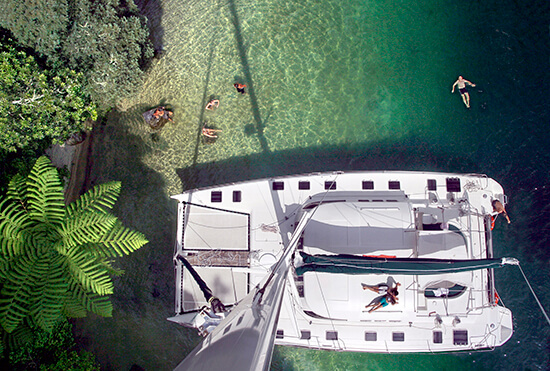 The best way to explore Lake Rotoiti’s secluded coves? By hiring your own boat, of course. Spend your days seeking out secret beaches, fishing for trout (aka sunbathing), or soaking in Manupirua thermal pools – which are only accessible by boat. Long runs and pristine power are the rewards for intrepid heliskiiers – and you don’t have to be a pro to give it a go. 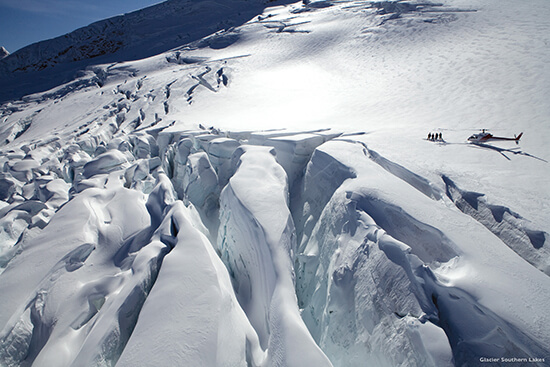 Even those with intermediate ski and snowboard skills can enjoy the high-altitude perks only accessible by helicopter – like these marshmallow peaks on Clarke Glacier, in Queenstown. 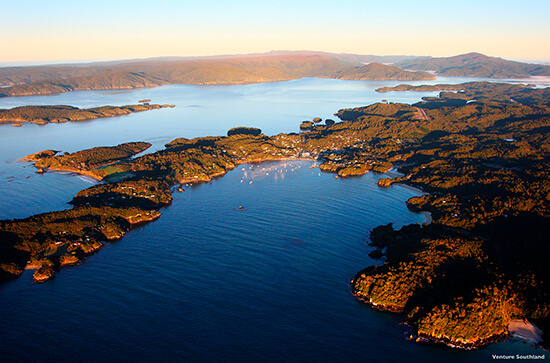 While you’re cruising the glassy waters of Marlborough Sounds, remember that you’re actually floating over vast submerged valleys – and those islands are the mountain peaks. It adds a certain mind-bending element to a day of dolphin watching and beach hopping – just the kind of geographical magic that New Zealand does so darn well. 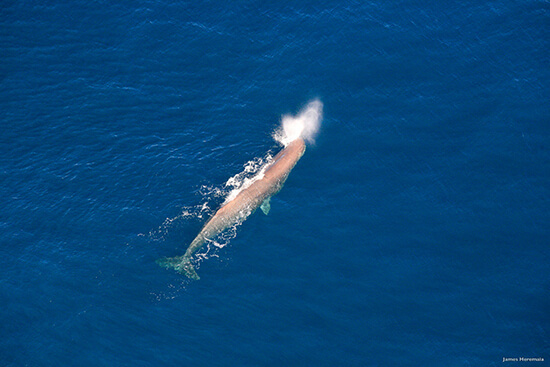 A drone offers a unique perspective on Kaikoura’s whale-rich waters – but you can get the same effect from a plane or helicopter tour. This small coastal town is famed for its whale-watching opportunities: local tour boats have an average 90% success rate of seeing southern rights, humpbacks, orcas and sperm whales (pictured below) year-round – so the odds are always in your favour. Like most of New Zealand’s most magical spots, Haast Blue Pools require a little hard graft to reach – but don’t let that put you off. You’ll have to hike a forest trail, navigate a swing bridge, and follow a boardwalk to find these secluded pools – making it all the sweeter to jump into their cool, crystal-clear depths when you finally arrive. 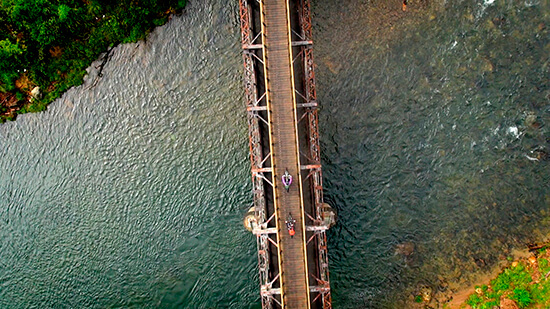 The Hauraki Rail Trail follows the route of a long-abandoned train track – and today it’s considered one of the world’s most picturesque cycling routes. This particular portion crosses the huge Karangahake Gorge, before heading into the old gold mining towns of Waihi and Te Aroha. 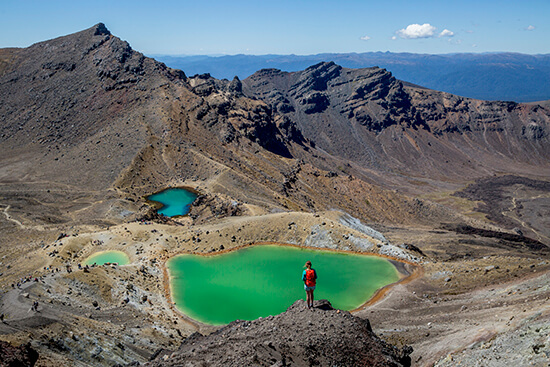 Don’t leave the North Island without completing the Tongariro Alpine Crossing – a one-day walk that will thrill even the most reluctant of hikers. You’ll tread through old lava fields, past steaming volcanic craters, and crayon-coloured lakes – with jaw-dropping views of Mount Ngauruhoe and Mount Ruapehu thrown in for good measure. 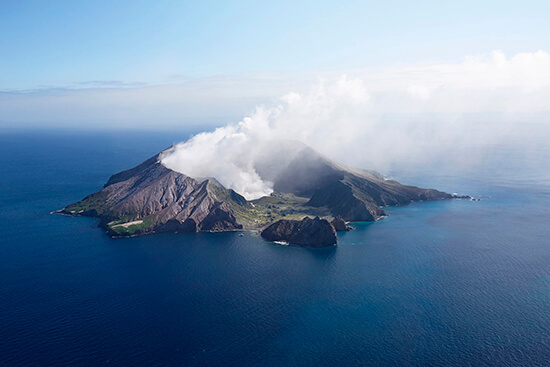 Whakaari, or White Island, is not your average holiday isle. It’s actually an active stratovolcano, complete with boiling mud pools, vivid yellow sulphurous streams, and a lake of steaming acid. Venture here on a guided tour only: they’ll supply you with a hard hat and gas mask to protect yourself from potential eruptions and poisonous fumes. Yikes. Inspired by these incredible images? Book your New Zealand holiday with Flight Centre today, with trips from £1,599pp.